LET ONE OF OUR CERTIFIED/REGISTERED TECHINICIANS PRESCRIBE THE PERFECT SOLUTION FOR YOUR OUTDOOR NEEDS. 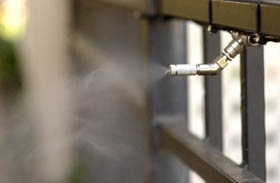 WHETHER IT IS BARRIER SPRAYING OR ONE OF OUR MOSQUITO MISTING SYSTEMS YOU CAN TAKE BACK CONTROL AND ENJOY YOUR YARD ONCE AGAIN!! OUR BARRIER SPRAY TAKES CARE OF MOSQUITOES, DEER FLIES, TICKS, AND MANY OTHER PESTS! !